November 2016 Update - FedUp! In 2016, CARA was passed. 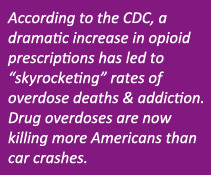 But much more needs to be done or overdose deaths will continue to mount. Previous calls for $920M to address the nation’s treatment gap have been ignored. Your member of Congress needs to hear from you now! They need to hear ASAP that every day without funding for treatment means more lost lives. I am urging you to support the $920 million funding request for opioid addiction treatment. This funding is a bare minimum of what’s needed to help states expand access to effective addiction treatment. Overdose deaths will continue to mount and heroin will continue to flood into our neighborhoods until treatment becomes more available. I urge you to address the critical treatment gap in the remaining days of the 114th session by fully supporting a minimum of $920M for states to increase treatment capacity. Every day Congress fails to provide this funding means the loss of more of our loved ones. 2. After you send your message to Congress, please let us know. Send us an email (info@feduprally.org) with your city and state. Our goal is to make sure that every member of Congress hears from at least one constituent. This entry was posted in Advocacy Updates on November 1, 2016 by FedUp Rally.